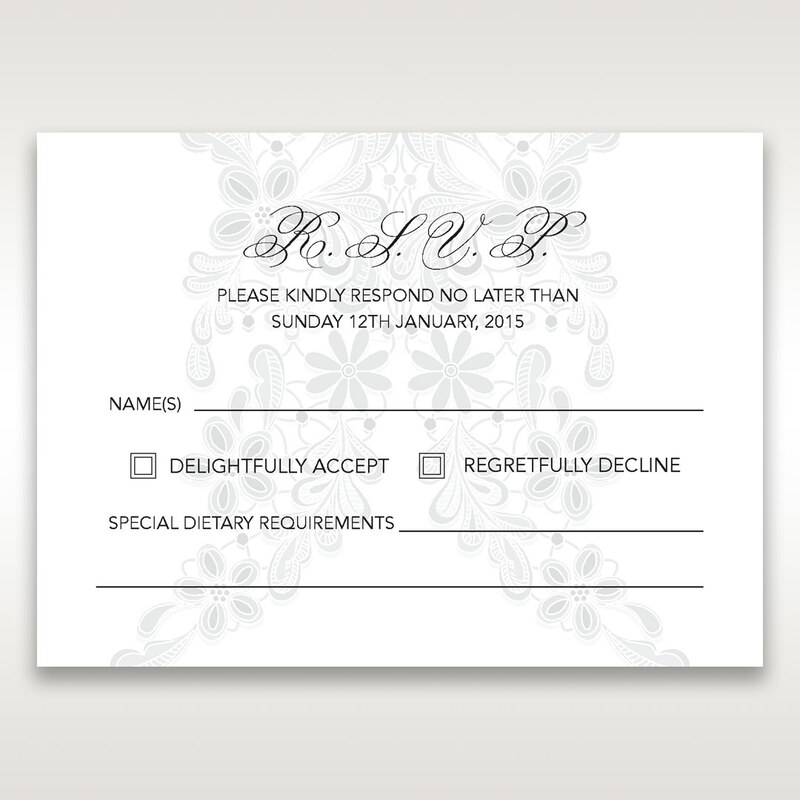 Delight your guests when asking them to accept your wedding invitation with this charming wedding stationery. A charming floral pattern is printed in a faint shade on a quality white card stock that works well for traditional and classically themed weddings. While elegant typography is used for the RSVP, you can personalise the lettering of the entire text by selecting a different font style. You can also customise this stationery further by choosing a custom theme colour to be printed as the background to match your wedding theme. If you are looking for a more shimmering sophisticated look, ask our designer for a foil stamped finish at a small additional fee. The RSVP cards are beautiful, the quality is awesome. 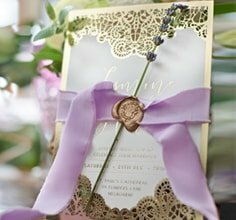 Simple yet stunning cards that perfectly match our invitations. Highly recommend. BEAUTIFUL! Cannot fault anything - just like the picture. Fantastic product and great company to deal with. Great communication throughout.